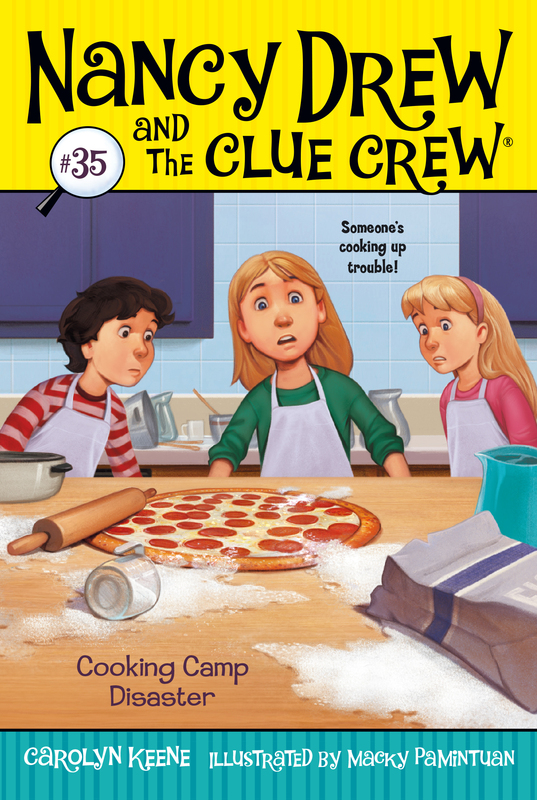 Nancy Drew and the Clue Crew need to discover who’s tricking their taste buds! Nancy, Bess, and George are excited to be spending some of their summer at Kid Kuisine, a cooking camp where they are going to learn how to make delicious treats from Chef Giorgio. At the end of the camp, they will be cooking for their families—and someone will win Best Chef! But after a few days, it’s clear that one of their fellow campers is not as excited as they are. From salty brownies to super-spicy pizza, things are not as yummy as they should be: Someone is sabotaging the food. Could it be the stuck-up Jeremy, who is intent on winning Best Chef? Or the chef’s assistant, who might have hidden motives of her own? It’s up to the Clue Crew to figure out who’s ruining the recipes—and everyone’s appetite!